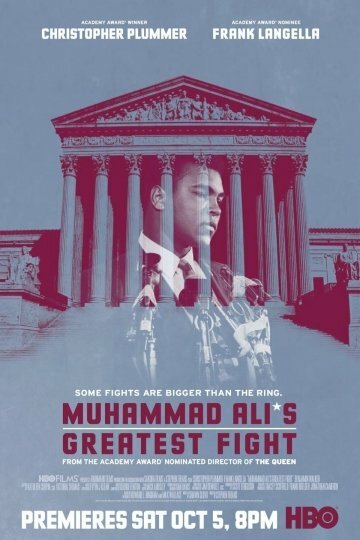 "Some Fights Are Bigger Than The Ring"
He was one of boxing's all-time greats, but Muhammad Ali's biggest challenge took place far from the ring--in the United States Supreme Court, where the justices debated the outcome of his 1971 conscientious-objector appeal during the Vietnam War. Christopher Plummer, Frank Langella and Benjamin Walker star in this riveting HBO Films drama. Muhammad Ali's Greatest Fight is currently available to watch and stream, download, buy on demand at Amazon Prime, HBO NOW, Vudu, Google Play, iTunes, YouTube VOD online.